One fact about me: I hate papaya. I've tried eating it so many times, because people keep saying how beneficial it is health-wise & beauty-wise, but I just CAN'T. I think it smells a little like butter, which I also hate. The cluster of black seeds in it also kind of creeps me out, I always get goosebumps when I look at them. Okay, enough about the fruit, and let's move on to a different kind of papaya that I don't mind getting near my mouth and nose ~ Revlon Colorburst Lip Butter in Juicy Papaya, which is one of the 4 new shades that were launched recently. It's a lighter & less orange version of Tutti Frutti. I find Juicy Papaya harder than the other Revlon Lip Butters I've used, so it's not as pigmented and doesn't glide as smoothly on my lips. I have to layer it 3-4 times for it to look somewhat opaque. It emphasizes dryness and doesn't feel very moisturizing. I exfoliated my lips very properly before applying it in the pic there, but it still refused to look perfect. However, the harder waxy texture makes it last longer on lips. It is tasteless & fragrance-free. Price ~ £7.99 | Rs.756. In India, they cost Rs.600. My Rating ~ ♥♥♥♥♥ 3/5. What do you think of Juicy Papaya? And who else hates papaya fruit? I also hate papaya :p I have and love Sorbet of these 3 new launches.. Even I have this but m not that fond of this because it has like no staying power. How do you get the swatches right CZ.. 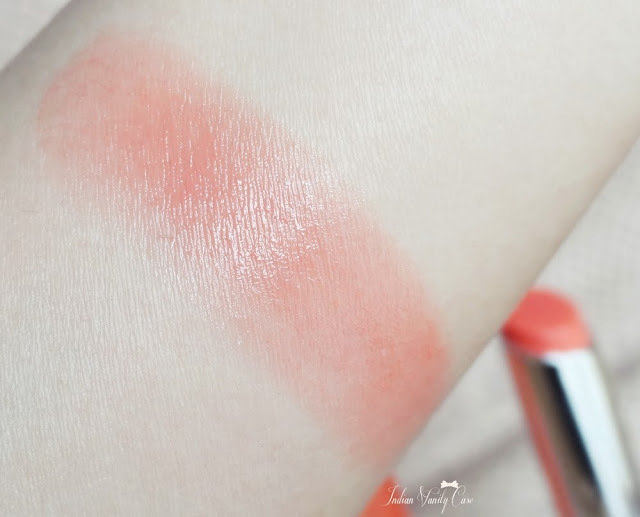 I tried so hard to get good swatches of this but in vain..
i was reading thru another makeup blog when i came across yours!! LOVE LOVE LOVE!! u simply choose the best words to write!! so witty..i was smiling n laughing reading ur older posts..
n u have great style!! well..i am bookmarking ur blog from now on!! n reading much more of ur posts!! 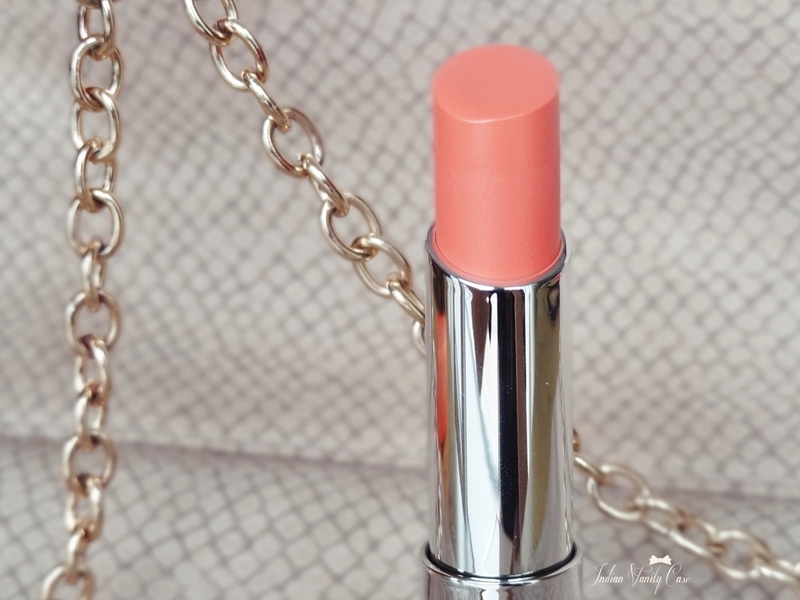 this is my favorite lip butter of them all! I hate papaya.. its smell, its seeds and I just can't see when papaya is cut.. This is one of the fruit that I would never like to have, even in mix fruit bowl if other fruit touches it I will not eat them too..